The Duke Series are simple, practical coffee and side tables that are best for indoor use. 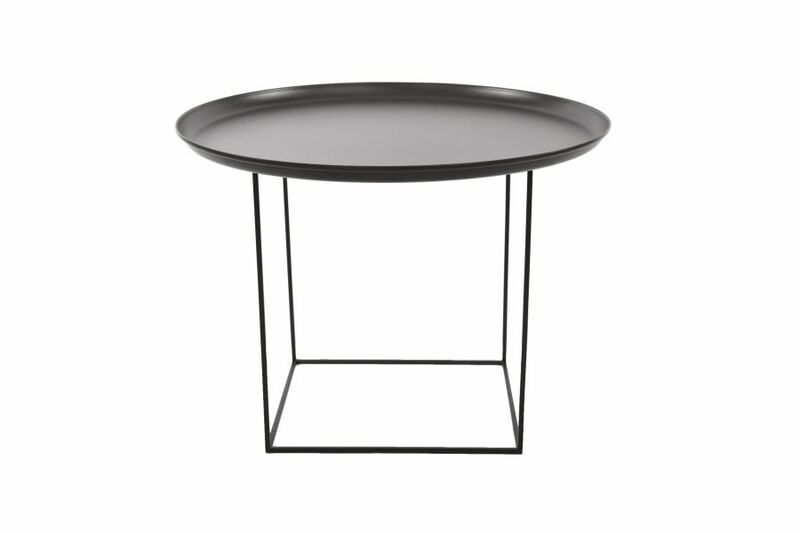 The Duke tables all have a spun metal tray, which is loosely placed over a metal frame. Both parts are powder coated in matching colors. Designed with consideration of functionality and design purity, the Duke Series comes in small, medium, and large sizes. The ratio of tray size to base size makes the medium size particularly functional, as the base can be rotated onto its different faces to create three different table heights. When all three sizes are placed together, they create a landscape that compliments any sofa.